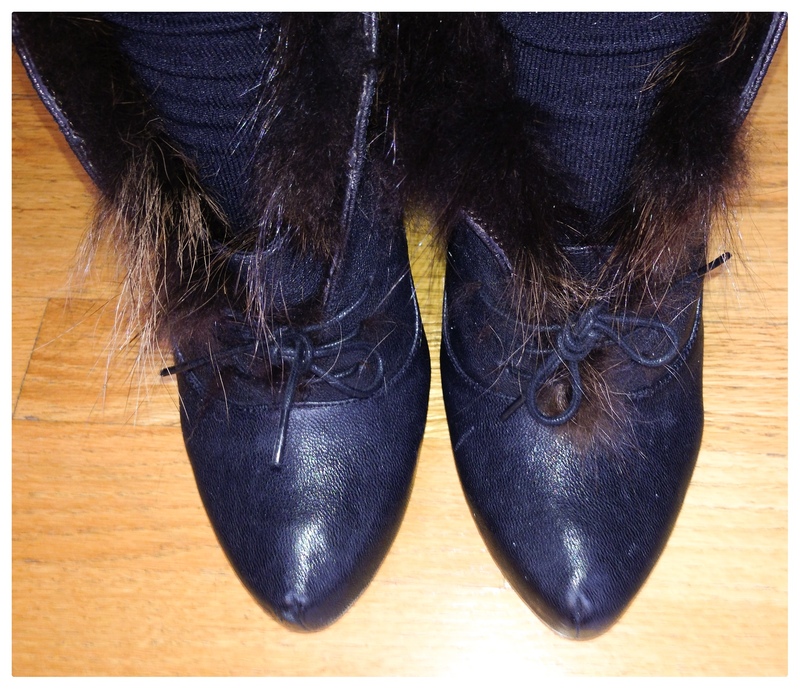 November | 2013 | Footwear Fashionista … a sneak peek into my shoe closet! MJUS – the brand launched in 2007 has developed it’s own unique look – casual, feminine and elegant. 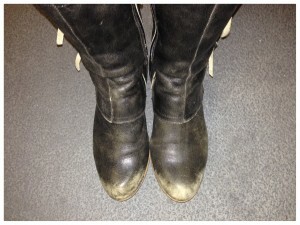 They use quality materials and cultivate them to produce a natural, effortless, weathered look. 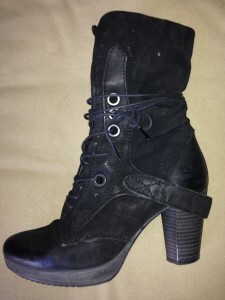 These black suede lace up booties have a 3″ heel and are fleece-lined for extra warmth, they even have a side zip for easy access. Winter has officially arrived and this style gives winter the boot. While I long for summer days to wear open toed sandals, my feet are kept toasty warm and super stylish in these. This brand isn’t carried everywhere. I’ve found them in specialty shops in LA and Chicago. Nordstrom.com has just started carrying a limited portion of the line this season. Snowed in Chicago which means slick streets…the perfect weather to test out my stylish new winter boots. 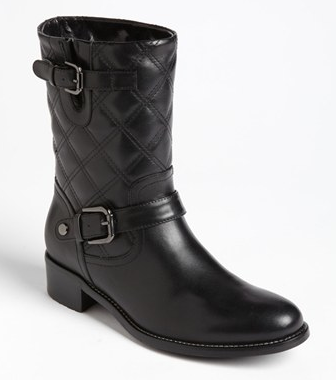 A weatherproof boot from Aquatalia by Marvin K. It combines smooth leather and quilting to create a cool moto style boot. There’s a 1.5″ lug heel, which kept me from skating across the sheet of ice on the sidewalk. 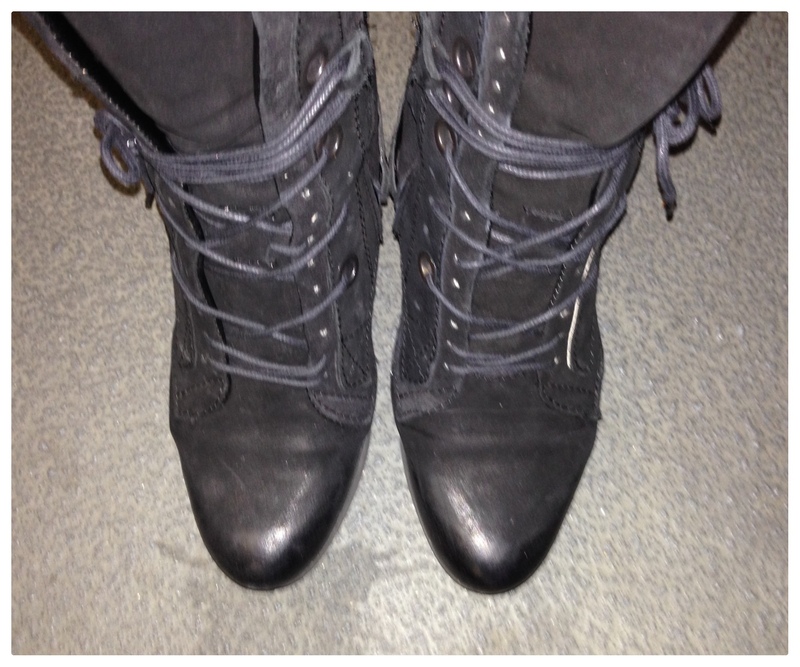 A boot with equal parts style and function will get me through the winter. Just when I thought I had enough boots, I stumbled across a street-cool bootie. 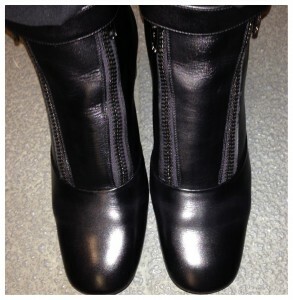 Check out the mod moto boot from Marc Jacobs. The high quality leather is buttery soft. 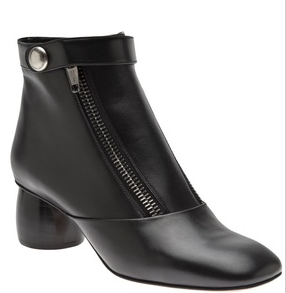 The round 2″ heel is elegant, modern and perfectly proportioned. 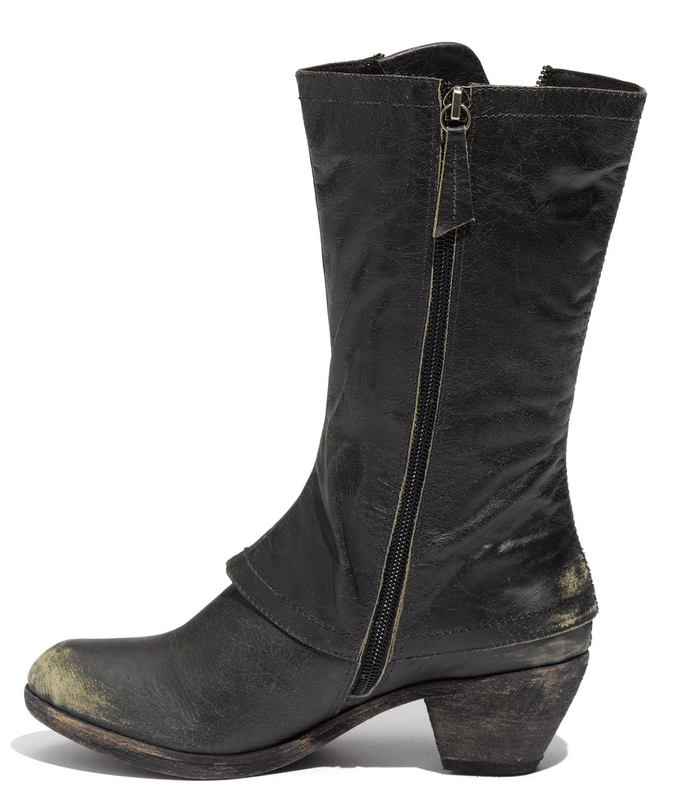 The double zippers – a stylish and functional feature, allow you to easily slip into the bootie. Topped off with an ankle strap with snap closure. 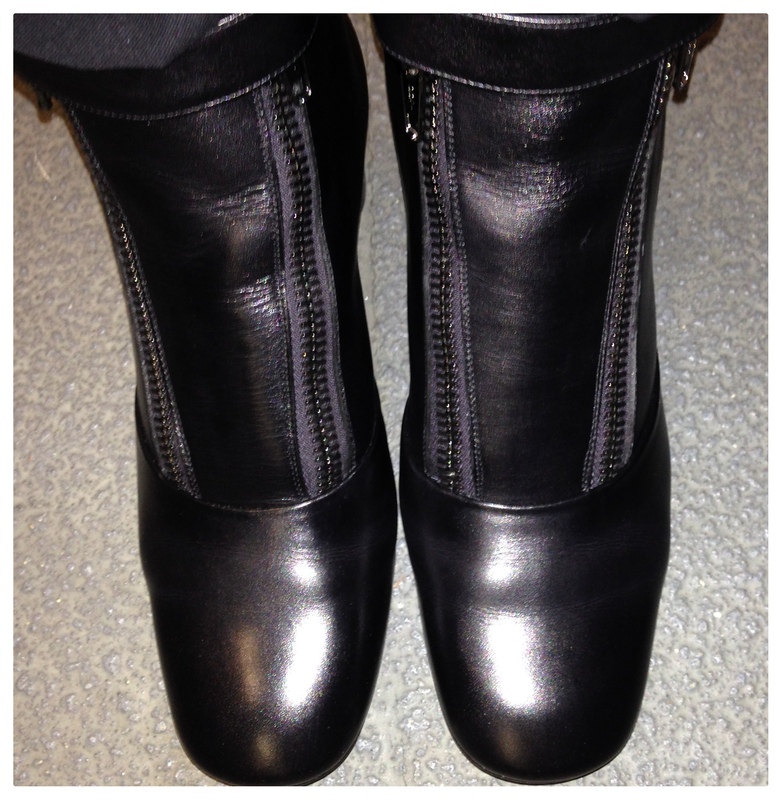 Fabulous boot – comfortable, sleek and upscale. 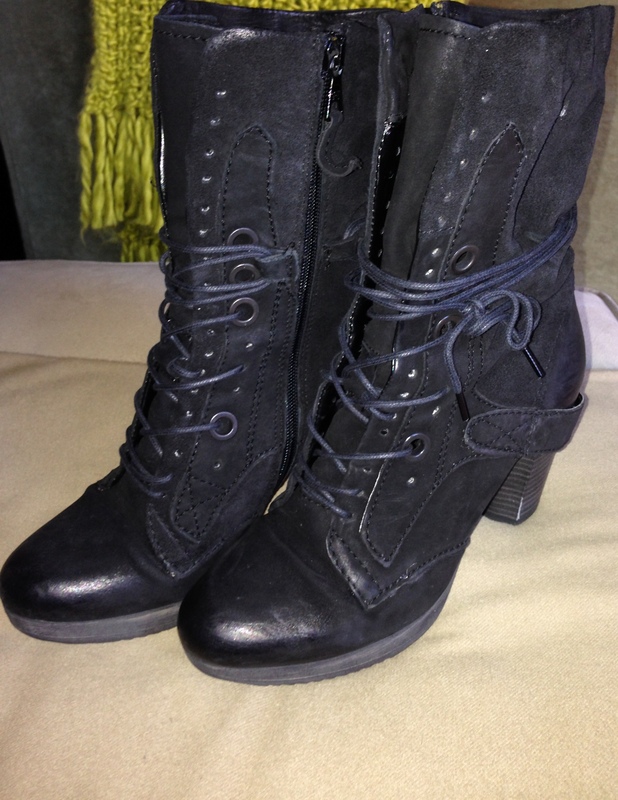 Best part of all….got them on sale! For a daytime look, the “Kennedys” pump by Farylrobin – a shiny deep aubergine, almost black patent leather pump with olive suede accents on the heels. 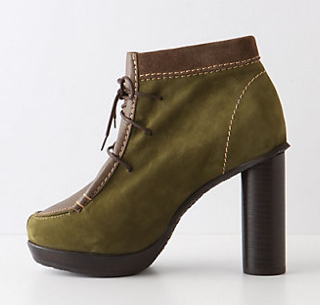 Mary Jane style strap adds a quirky touch of olive elastic which matches the heel accents, rounded toe and 3.25″ heel. Fun and funky, it’s a contemporary spin on a classic design. And yes, they really are purple. Attending an industry event in the evening calls for a little glam, a little sass and a lot of class. 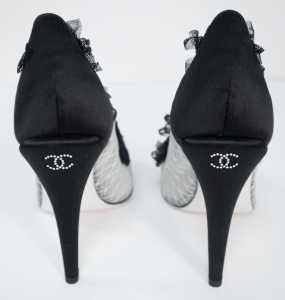 These black and white lace and silk stiletto heels by Chanel were the perfect accessory for my dress – channeling my inner Coco. Ornate silk white woven lace with black lace trim, black silk toe caps and double CC silver jeweled embellishment on the 4″ silk stiletto heel. Even the insoles have a rich look with white quilting. 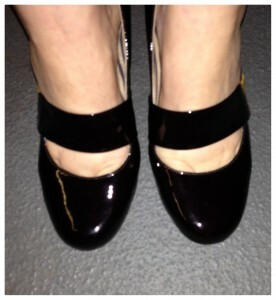 Shoes make the outfit and these pumps, well they were a class act by themselves. 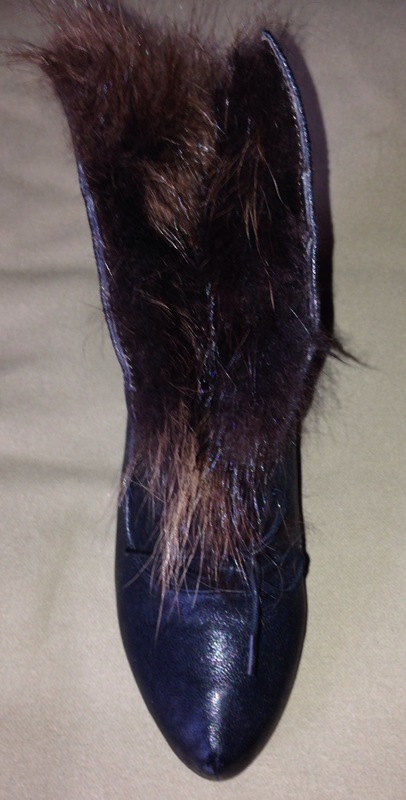 What woman doesn’t love some sort of fur? 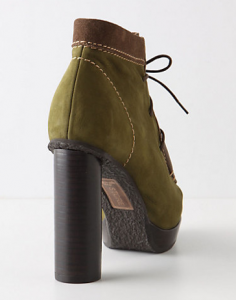 Jeffrey Campbell surely knows what women love. 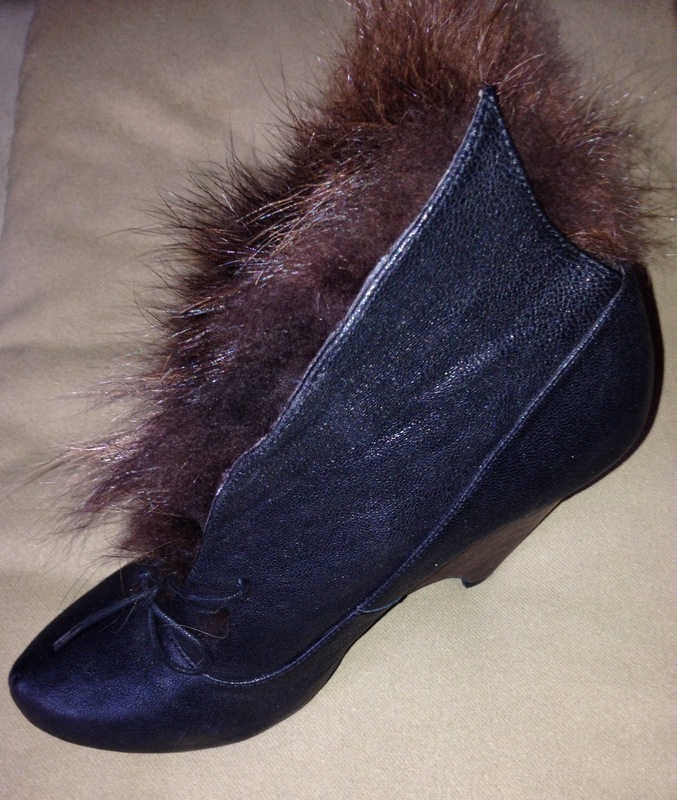 He created the cutest fur bootie in 2010, A rich black leather, elf-like bootie laces up and reveals the brown fake fur. Not only is the fur stylish, but it adds a layer of extra warmth for a cold winter day. But then you get to the show-stopping heel. A brown leather wrapped curved, notched heel. 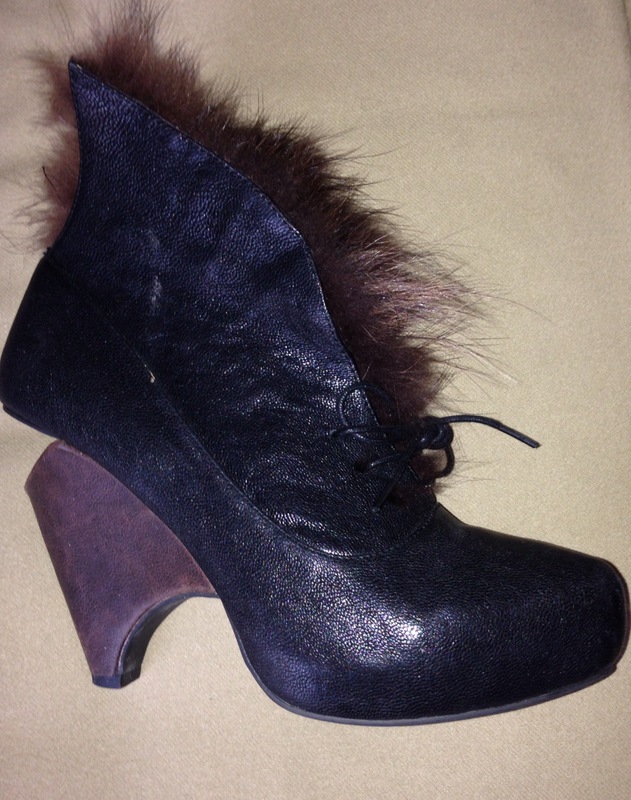 It seems to define the laws of physics – but these booties provide a sturdy strut. 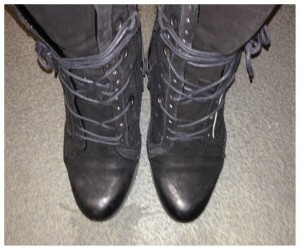 These shoes take an ordinary outfit and make it extraordinary! 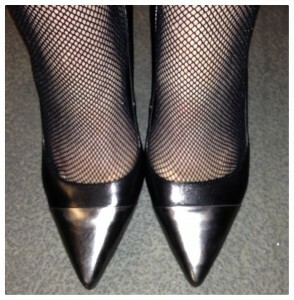 From Spring 2012, the Kenneth Cole “Bon-ita” pump. 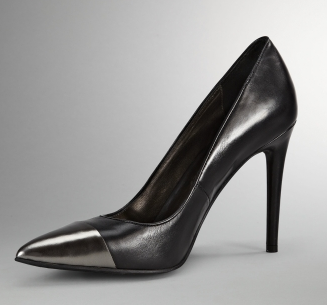 Sleek and chic, this beautiful pump has just enough attitude to be your go-to shoe. 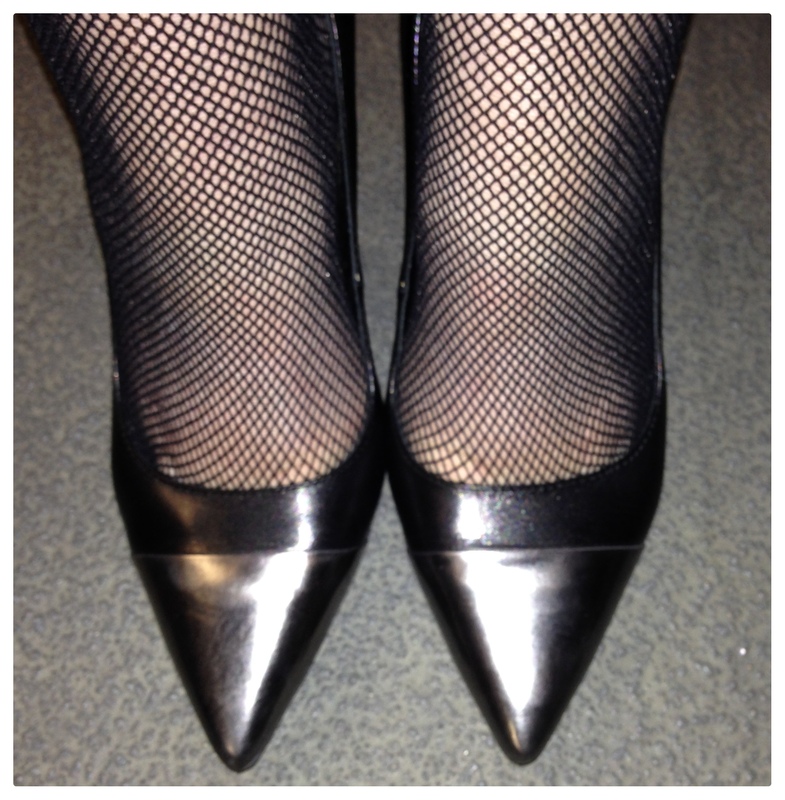 Black leather, 4″ slim stiletto pump, capped with a metallic pointy toe. Modern and fashion forward, the edgy, versatile pump is what your wardrobe needs for an instant pick me up and subtle flair. 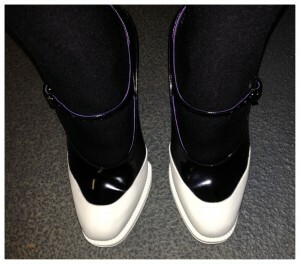 A funky and unique mary jane from Prada’s Fall 2012 collection. Seriously, what other designer could pull off this fabulous look!?! 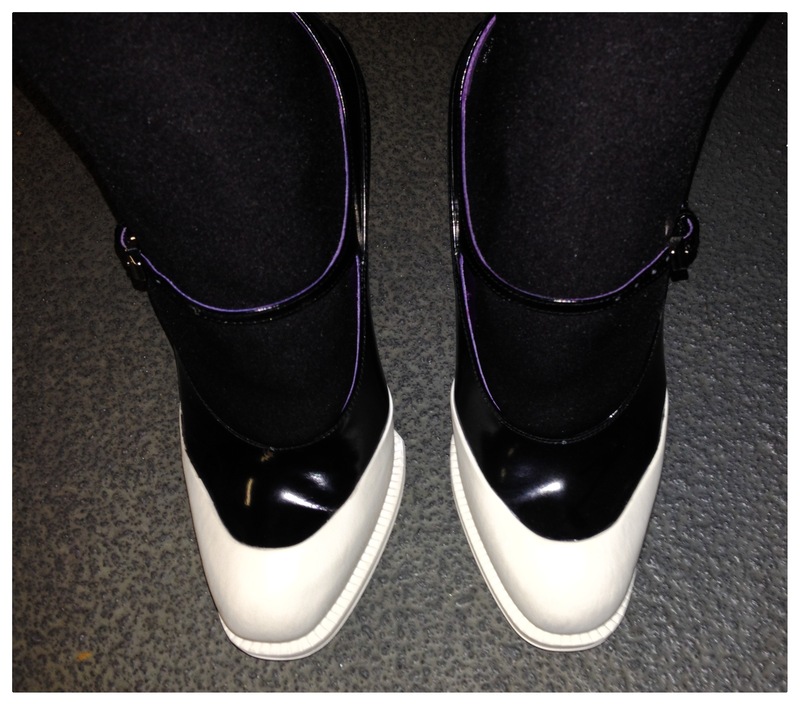 The rubber-dipped spazzolato pump – a towering 5.25″ flared heel with internal 1.25″ hidden platform. A mary jane is a wardrobe staple, but Prada made it a statement shoe with color block appeal. These trend setting kicks set the trend. Even though the platform lessens the heel to about 4″, the pitch on this pump is very high – but the height truly accents the leg. No chasing pavement in these mary janes – just a slow, steady strut. A laid back style to ease into the weekend. “Dove”, a rustic mid-calf boot by Matisse flaunts a well-worn look with heavily distressed black leather. 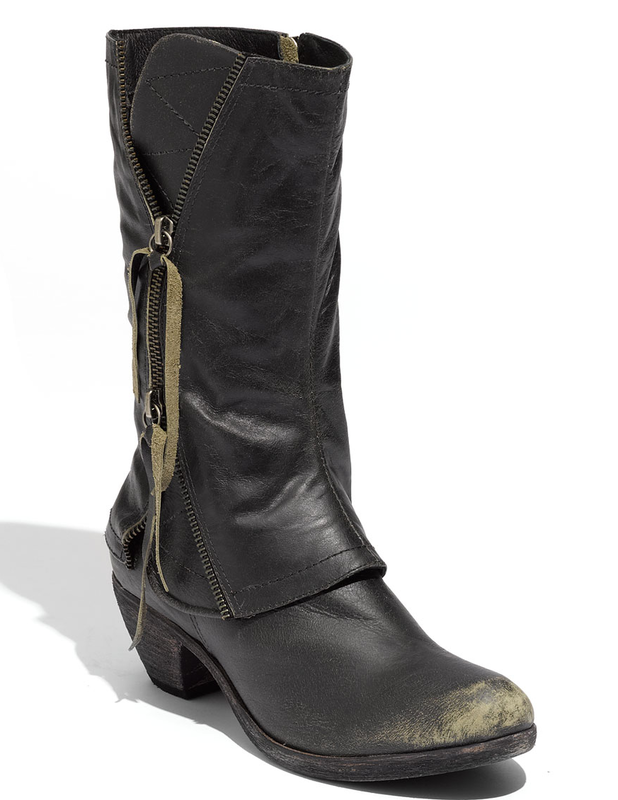 Decorative outer side zippers on the shaft add to the unique style with inner working zip closure and a weathered 2″ wood heel. 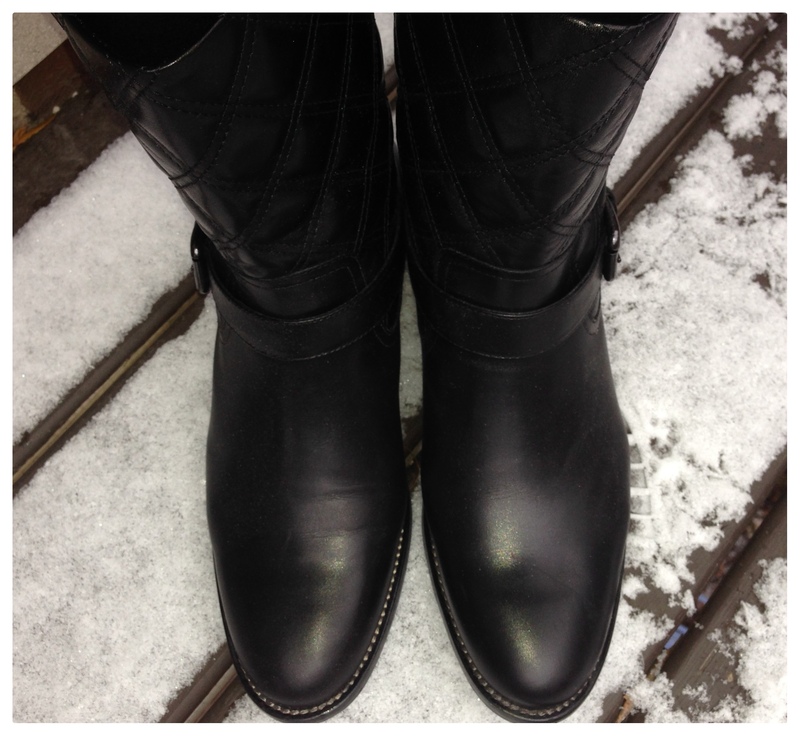 Round up your style – simple and practical, this boot transitions well from one season to the next. b Store, a line that evolved from London’s fashion mecca, Saville Row. The line is known for creating modern, unique, individual, confident, well-crafted, timeless pieces. Their “Lapp” Moccasin bootie, from 2011, is a workwear inspired boot that is as stylish today as when I first took them out of the box. 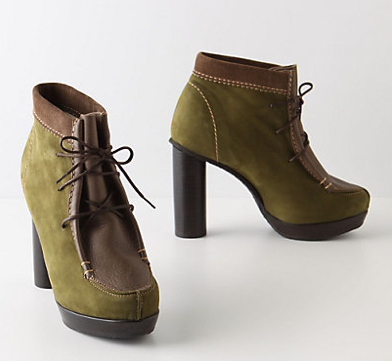 Soft suede in a trio of colors – olive green, brown and black piping. 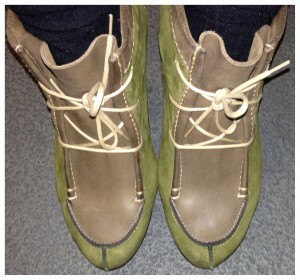 Cream stitching is used as accents and laces. Finished off with a uniquely designed, towering 4″ brown wooden cylindrical heel and 1.25″ platform with crepe sole. Truly, a style that transcends trends. Tory Burch bring a poshness to a timeless silhouette. 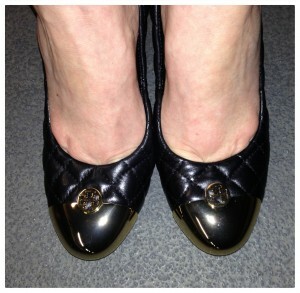 At first glance, I thought they were classic Chanel, that’s how nice these wedged pumps are. The “Kaitlin” sports a comfortable 3.5″ stacked wedge wooden heel. The black quilted leather design is embellished with an understated logo accent atop the gold polished cap toe. Sophisticated, stylish and on-trend, this is a go-to shoe for all seasons and all occasions.